Careers begin here. Join an Advisory Board! You are here: Home / Careers begin here. Join an Advisory Board! Become a performance improvement partner! Join the Bradley Tech and/or a MATC advisory board and help serve our students and their search for exciting and rewarding careers. The mission of the Bradley Tech advisory board is to provide expertise, resources, and strong partnerships to ensure that students are exposed to a wide range of career exploration opportunities, access the highest level of job training experiences, and finish with higher education and workplace readiness skills. Our partners and advisory board members work directly with Bradley Tech and MATC staff and students, strengthening our direction and focusing on the alignment to post-secondary education programs and career pathways. Getting involved is easy. First, email Scott Sommer, Industry Liaison at sommers1@milwaukee.k12.wi.us or call at 414-212-2491. Our advisory board usually meets as an entire group, once per semester, and is invited to attend other school events, such as our Open House each fall and spring. Advisory board members usually collaborate with staff members specific to the the four Bradley Tech/MATC career pathways listed below. Subscribe to our quarterly business newsletter, delivered via email. View past issues of our newsletters. 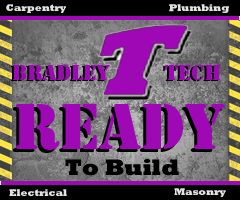 The trades, including carpentry, plumbing, electrical, and masonry. Web, mobile apps, graphic arts and information technology. 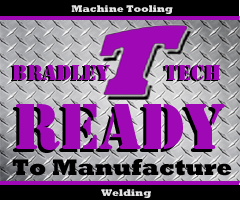 Including welding, and machine tooling. 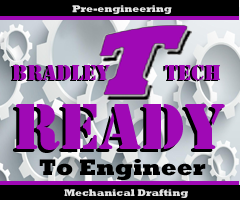 Including mechanical design and drafting. * Classroom presentations: Introduce a workplace skill by visiting a shop class and presenting an interesting topic or lesson. You can work with a Tech instructor and develop a lesson outline and plan. * Product/Entrepreneurship partnerships: Work with our shop class in the design, production, and marketing of a product that can be made at Tech. * Field trips: Open your office or shop to a tour and demonstrate the skills and equipment used in the workplace. * Job shadowing: Invite one to three students for a three-hour personal visit and allow them to observe the daily activities of an employee working in a career pathway above. * Apprenticeships/Internships: Work with an inspiring student and prepare them for a semester-or year-long apprenticeship or internship during their senior year. * Curriculum alignment: Reviews and makes recommendations for the learning curriculum for our shop classes. Meet with instructors during the advisory board meetings or during professional development opportunities. * Workplace readiness: Interviewing skills, resume writing, and discussion for the skills necessary for entry- level jobs in the career pathways above. Meet with small groups of students during the school day. * Train an instructor: Invite an instructor into your shop and introduce them to a workplace skill that they can bring back into the classroom. Can meet on days when school is not in session. 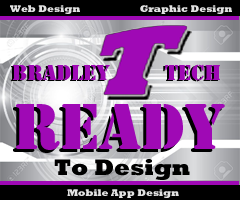 * Sponsor an event: Provide resources or funding in order for Bradley Tech to participate in a learning opportunity, such as attending a trade show or helping us host a community event such as “Cyber Security” day. 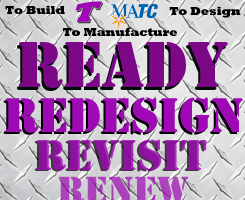 * Donations: Materials, equipment, and consumables that can be used in our shop classes. * Meetings: Meet with the advisory board members once every two months or so, at 3:30 pm. Network with staff and business partners, and discuss what’s working and what needs to be improved.